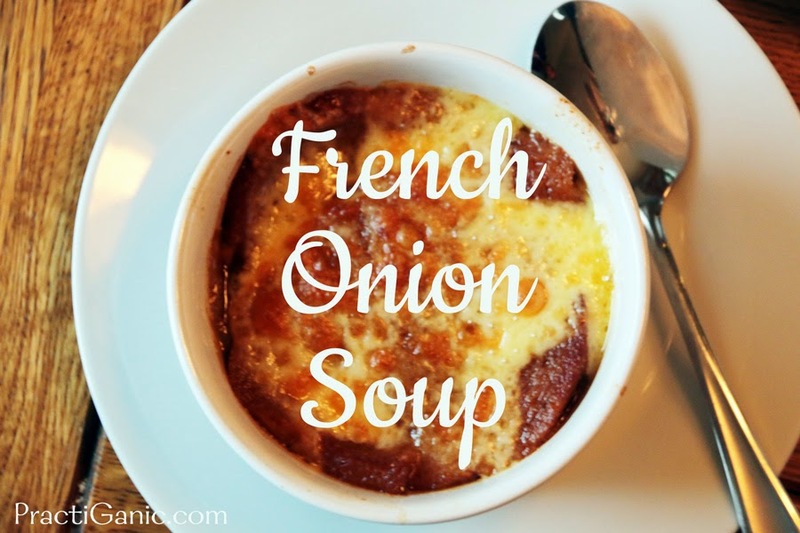 One thing that I wish there was more of in this world is Vegetarian French Onion Soup! 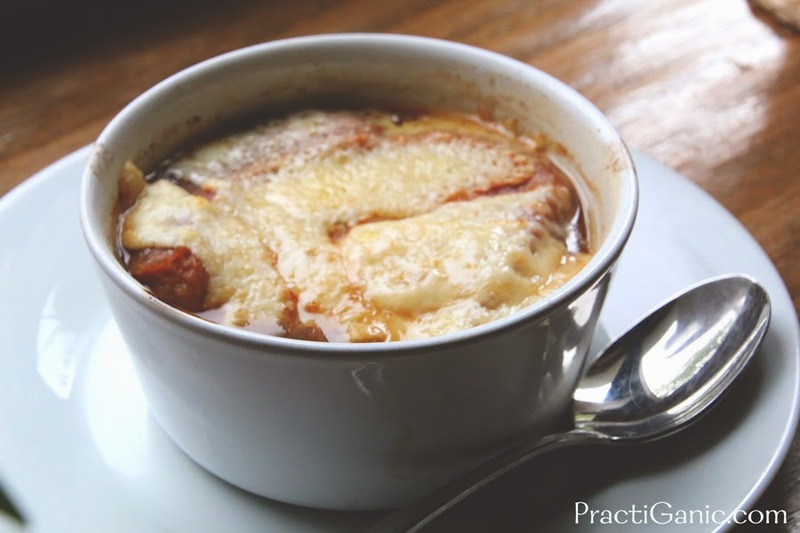 When it's rainy outside or a little bit cold, there's nothing better than a warm cup of soup (and listening to Van Morisson while you're eating it!). 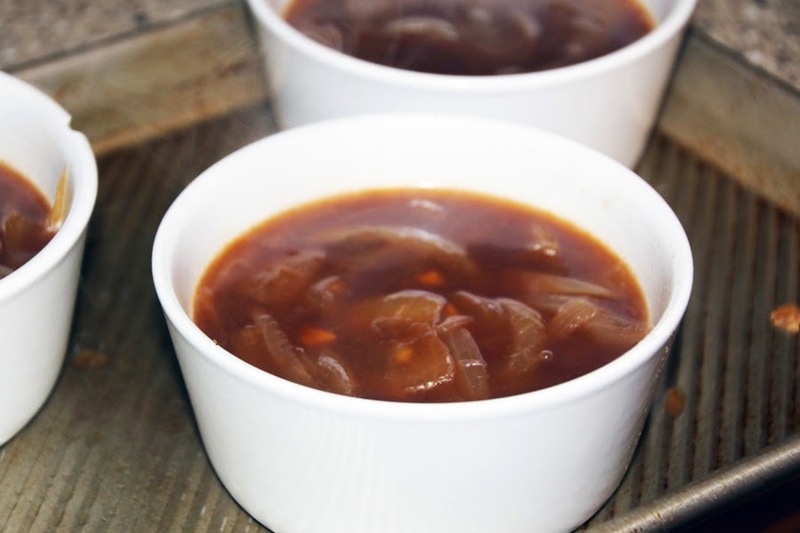 When I'm at at restaurant and see French Onion Soup on the menu a little tear always runs down my face as I know it is made with beef broth. Why is this? Can't it just be a vegetarian soup? After the past few years of making it homemade and using vegetable stock, I truly don't think it's missing anything. I think it's actually better! Of course, this is one girls opinion, but you be the judge of that! 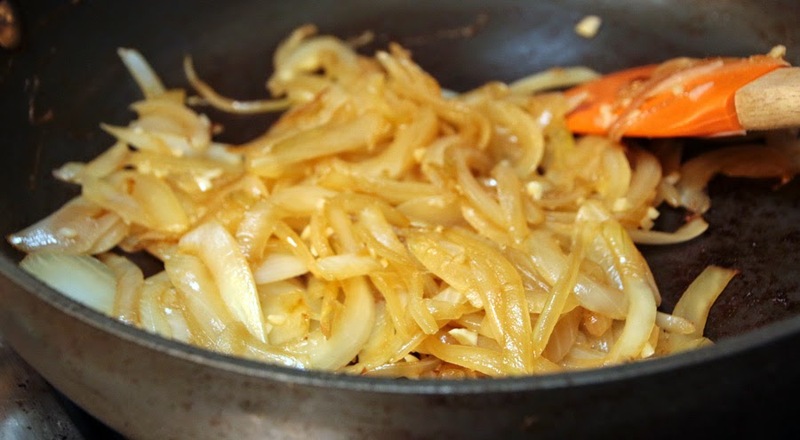 Sauté onions in butter until nicely caramelized. Cook them over a medium heat for 15-20 minutes. Deglaze your pan with white wine. and mix in your vegetable stock, pepper and worsteshire sauce. Simmer for 20 minutes. Meanwhile, toast your french bread so that it is good and crispy. Heat the oven on broiler. 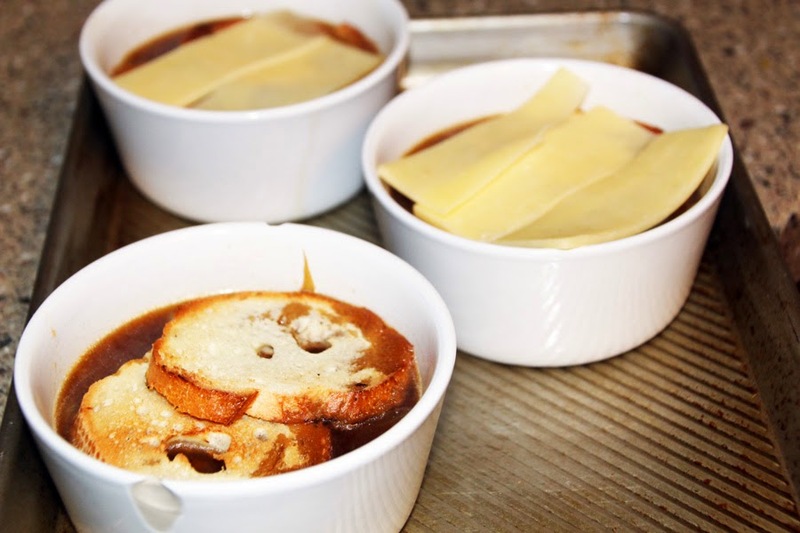 Ladle the soup, dividing it into two ramekins or other oven safe dishes. Top with the bread and then your cheese. Place ramekins on a baking sheet and put in the oven and broil until your cheese is brown and starts to bubble ... watch it, it will turn fast!